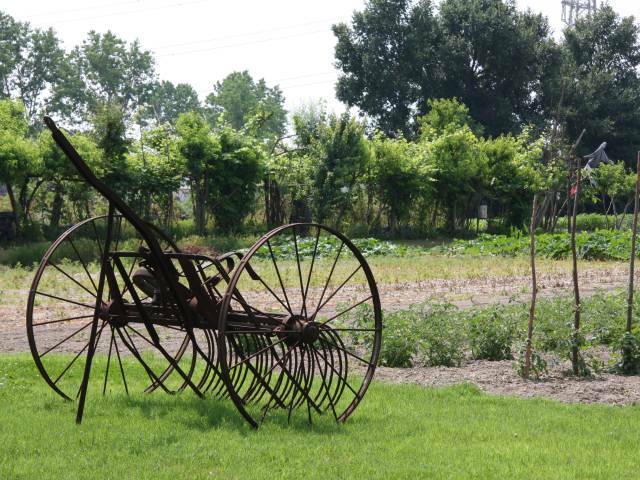 Ca’ Marcello is a farm with vegetable cultivation, located in the middle of the Venetian countryside. We started the tourist venture in October 1997, after the restoration of the whole building. With the pool, built in 2007, the agriturismo has become a truly oasis of peace. The farm is situated in Malcontenta di Mira, near a quiet loop of the Brenta river, famous for its Venetian villas. You can reach Venice in 20 minutes by pubblic transport (bus or “vaporetto”). The famous palladian Villa Foscari is in Malcontenta, 2 km from the agriturismo. You can also visit the Valle Averto Natural Reserve (WWF) , which is very close to Ca’ Marcello. We will be pleased yo give you all the advices you need to visit Venice, as well as the other sites of the Veneto region such as Padova, Euganean hills, Treviso, Vicenza and the palladian villas. 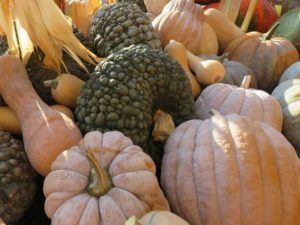 Over the years, our specialty has become the production of pumpkins. 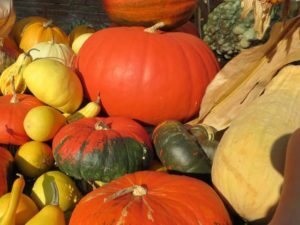 In September and October, in the farm, you find exposed pumpkins of different varieties for cooking and decorative purposes. 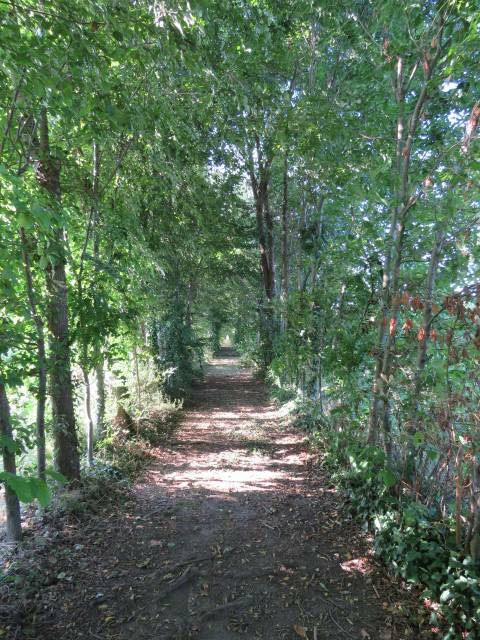 We are also included in the ecological network of the ‘provincia’ of Venice for flora and fauna with a beautiful tree-lined avenue that runs through the property. We are… the owner Silvio Manfrin and his wife Ornella Trevisan, helped by our daughter Fabiana and our daughter in law Elisa. Often you find us with our grandchildren Gaia, Giulia, Edoardo, Ilaria, Iris. The original structure of the Agriturismo Ca’ Marcello dates back to 1700’s. It looks different from now as it was enlarged in particular in its heights. The first land register showing the exact position of the agriturismo dates back to 1808, when the village was called “Voltegrandi” (literally round turns), due to two wide loops which were reclaimed in two different periods. In 1920’s, the grandfather of the actual owner Silvio Manfrin decided to live with the family where now lies the agriturismo. Ha had opened an “osteria” (tavern), trying to take advantage of the fluvial traffic, very intense with the “burci” (boat used along the Brenta river), which at that time was the best means of transport from Venice to Padua and vice versa. The elederly rememberd the 50’s as the most lively period in Malcanton (name with which the village is known), when even election campaigns tooke places in the small square in front of the agriturismo. An important transformation of the area has occurred in the 60’s with the end of the fluvial traffic caused by the construction of the Romea road (the present SS 309). This change forced the family to move the tavern near the new road. The area remained for a while semi-abandoned. Also the present agriturismo remained unused for a long time. In 1996 the presen owner decided to restore it and began his adventure with the agriturismo, as he was aware of the potentiality of that place: it is near the Romea road and allows to easily reach Venice, it is in front of a beautiful loop of the Brenta river and located in a peaceful and quiet corner.